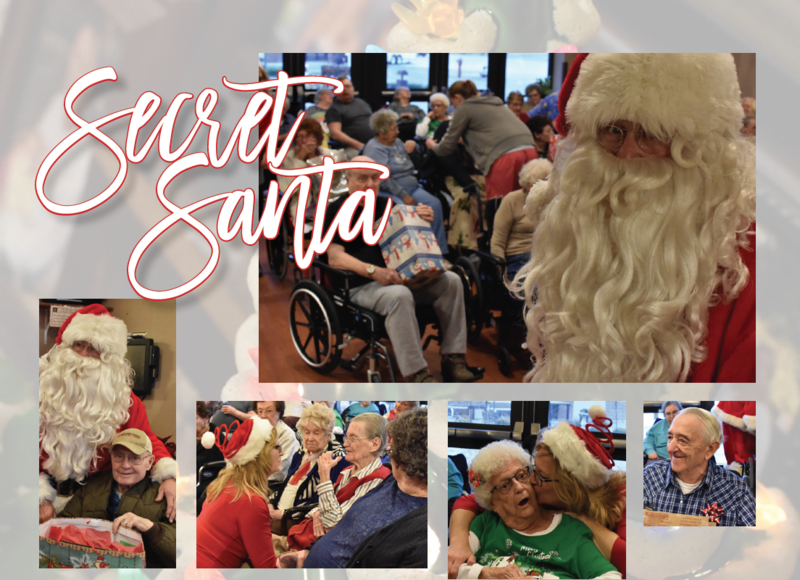 It's worth a look to see how many smiles are brought to our residents because of so many people know the reason for the season. The Secret Santa gifts are purchased with each person in mind and their loves! Santa visited some in their rooms, but most enjoyed the visit in our winter wonderland that overlooks our patio with the nativity. Staff and families joined in the fun! One photo in the video shows a resident who reveled the beautiful sweater that was gifted to her. She was so joyful as she unpacked each item in her gift. It was great to see the joy in the eyes of all who met Santa! Collage of photos from Secret Santa visiting.